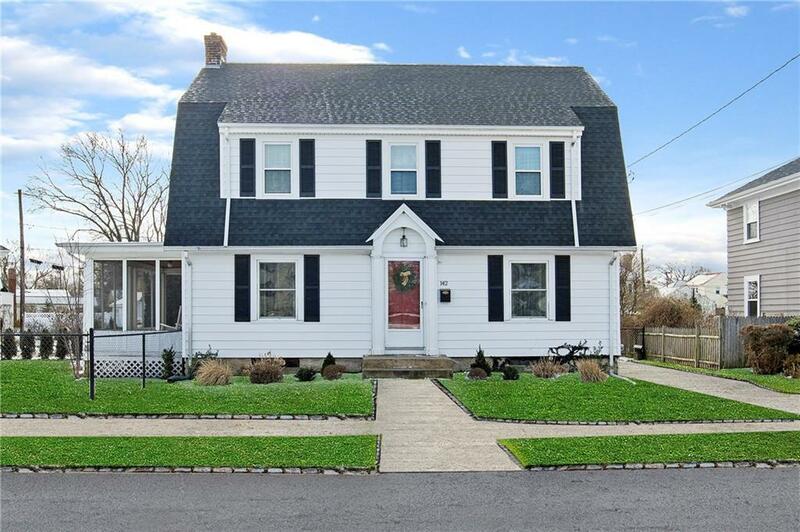 Classic colonial in the heart of historic Gaspee with over 2000 sq/ft of living space. This home offers 3 bedrooms, one full bath and one half bath, a living room with fireplace, a family room with cathedral ceiling and sky lights, a large screened porch and deck. Hardwood floors throughout. Brand new gas forced air heating as well as central air-conditioning. Updated windows, roof and 200 amp service.A fantastic fenced-in yard on a corner lot. Less than a mile to Pawtuxet Village, restaurants and shops. Stunning views of Narragansett Bay are just down the street.